The DC Comics villain Rag Doll first made his appearance in the comic books back in the 1940’s, with a more popular version being best known in Gail Simone’s Secret Six comic book series. 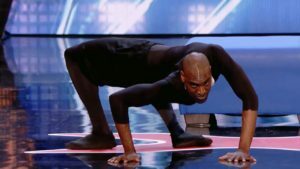 Tonight, the character comes to live action for the first time with America’s Got Talent twisting sensation Troy James in the role. “As you know, it looks like a three piece suit, but it’s actually a onesie,” James told us about the Rag Doll costume we see in the episode. “But it is super comfortable. It feels like a comfy pair of pajamas. I really give thanks to Kate Main for creating that for me. For me, it’s a Troy-proof suit. I say that because I’ve ripped so many pairs of pants! But this was a fantastic costume, and the mask was awesome! I love the hair. I like that it kind of does stay true to the comics with the red hair and white mask. It looks scary,” he enthused. 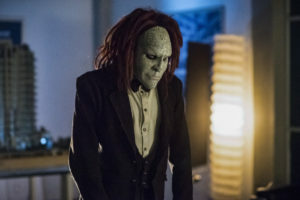 While we usually see Rag Doll with a mask on, we will see Troy himself without it at one point of the episode — if you pay close attention. “There’s a sneak peek of me without the mask, but you need to have an eagle eye to spot that out,” he teased, offering that it’s easier to play a character like Rag Doll with a mask on. “It’s much easier to put on a costume or put on a mask and not be yourself, and perform. I’m so self conscious about myself,” he explained. Last summer, James made a memorable appearance on America’s Got Talent — and he almost didn’t do it, despite his friends and family assuring him that he’d be fine. 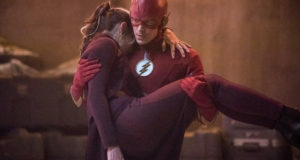 And now, after appearing on such series as The Strain, The Flash has been Troy’s first superhero show appearance. 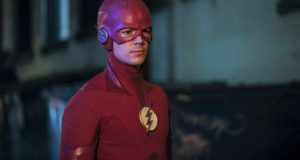 “It’s interesting to see the behind the scenes or the mechanics of how exactly they make Flash, Flash. It was also my first time in Vancouver, so I got to do a lot of sight-seeing… it was just really great being there, being on set… and everyone was so nice. We got up to a few antics, a few hijinks if you will, using my flexibility… me, Grant, Hartley Sawyer… Elongated Man and Rag Doll, we’re kind of similar in a way, so we bonded,” he said of the experience. James had been fan of The Flash before getting this role, but hadn’t totally been caught up to Season 5. “But after being there, and seeing how cool they were, I want to catch up and get up to speed, if I can make a silly joke like that,” he punned. Troy James had a particularly fun anecdote to share about working with Grant. “He didn’t know that I could do what I could do when I got to set,” he recalled. “So, right before we got to ‘Action,’ I got to my location and then just collapsed, and it’s the part where I had already kidnapped him, and he’s immobile, and he sees it and he just bursts out laughing. I had a lot of fun creeping around him on the set. He took a bunch of cool behind the scenes pictures that maybe you’ll see after the episode airs,” he teased. Finally, does Troy James have any advice for young fans who might see him or the characters that he plays on screen? 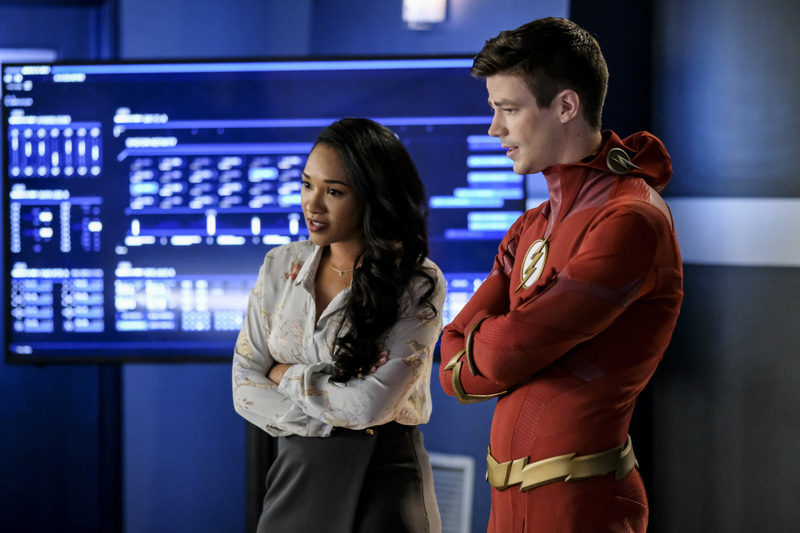 Troy James can be found online as “TwistyTroy.” The Flash airs tonight (November 13) at 8PM ET/PT on The CW. See some photos from the episode below!